Have a Galaxy S? Then You Got the Gorilla! Have a Galaxy S? Then You Got the Gorilla! : "
You read the title right! 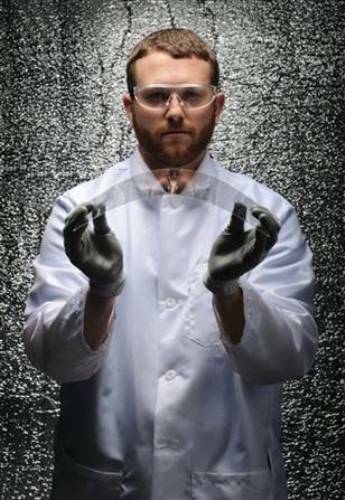 Corning has announced that they indeed were the providers of the glass that is on all Galaxy S devices! It is good to know that our precious devices are protected by this virtually indestructible glass product! The Gorilla Glass covers the big 4-inch AMOLED screen of all Galaxy S models. In case you aren’t familiar with Gorilla Glass, it is an alkali-aluminosilicate thin sheet glass that is scratch resistant and durable. The glass is starting to make significant headway into the mobile device market thanks to its durability. This is the glass that Engadget WHALED on try to get to break with no success. I don't recommend trying the same test, but if you do, let us know how it goes! NOTE: Have a Galaxy S? Then You Got the Gorilla! originally appeared on AndroidGuys. This is one of those things that is so crazy I just had to share it. I guess it's for one of those "Heavy Metal" concerts. Back in 2008, Jonathon Crawford decided to combine two awesome things and built this flamethrower trombone. Hmm, how about combining it with Rubens' Tube next? OK, forget what I said about the R2 Droid 2. If this is really it (and it looks like it is), it looks to weak for me. Droid 2 R2-D2 edition spied in the wild, ready to repair your X-wing: "
If you compare this shot of the bespoke R2-D2 Droid 2 to the background of Verizon's teaser site (inset), you can see this is almost certainly the genuine article -- and we knew that Verizon intended to intro this thing at the Star Wars-themed Celebration V conference kicking off to day, so this is all making a lot of sense. We admit, we were kind of hoping for a graphic that was a little more... you know, R2-D2-shaped, but when it comes to astromech-themed gear, we'll take what we can get. 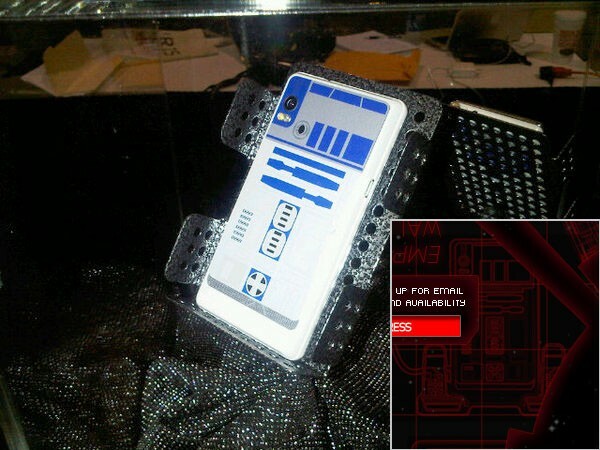 Droid 2 R2-D2 edition spied in the wild, ready to repair your X-wing originally appeared on Engadget on Wed, 11 Aug 2010 19:16:00 EDT. Please see our terms for use of feeds. Permalink | Verizon, @r2d2central (via Twitter) | Email this | Comments"
So, I was asked yesterday "Why the Droid 2?" Maybe I'll pre-order tonight. New every two is a good thing. 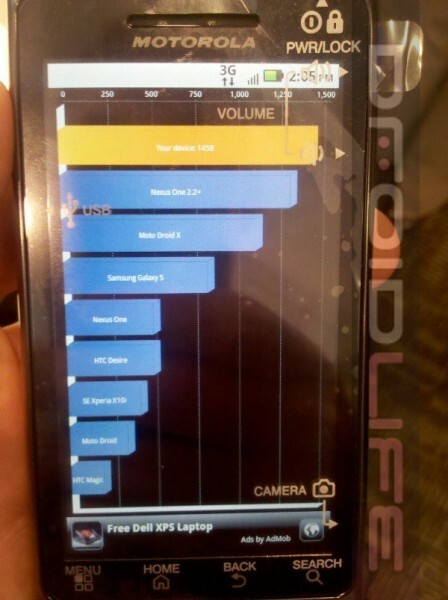 Droid 2 Quadrant Standard benchmark score is staggering: "
1458. That’s the Droid 2’s straight-out-of-the-box Quadrant score. Higher than the Nexus One, and higher than virtually any Android phone to date. The phone is set to debut Thursday, so pack your camping gear, and get ready, because these things are going to sell like hotcakes. This is both interesting and unnerving at the same time. Two comments about it; first, it's too bad it ends in 1998 (12 years ago) and two, there may be some data missing, but if there is, it's because that data would be classified. I'm not saying I know there are data missing, I'm just saying from what we hear in the news, there may be some missing. Anyway, watch the video. It's educational. Animated map of nuclear explosions, 1945-1998: "
Japanese artist Isao Hashimoto's '1945-1998' is an animated map showing the 2,053 nuclear explosions that took place around the world during the 20th century, from the detonations at Alamogordo, Hiroshima and Nagasaki in 1945 to the tests conducted by India and Pakistan in 1998. Finally: The Motorola Droid 2 Pre-Sale Officially Starts August 11th for $199.99, In Stores the 12th, R2D2 in September! OK, maybe I'm just a big nerd, but this is exciting news! I knew the Droid 2 was coming, and the rumors were that it would happen on the 12th, but now that it's confirmed, I almost want to take the day off and stand (sit?) in line for it! But then again, maybe I'll wait until September for the R2D2 version of the Droid 2. Now THAT will look professional, won't it! Finally: The Motorola Droid 2 Pre-Sale Officially Starts August 11th for $199.99, In Stores the 12th, R2D2 in September! : "
It’s about time we got some official confirmation from Verizon! The long-rumored phone (which was damn near confirmed in every way, shape, and form outside of official word from Big Red) has finally been officially acknowledged by the carrier and is on its way sometime soon. Pre-sale starts this August 11th (tomorrow, if you’re reading this on published date!) which – if previous Verizon pre-sales are anything to go by – means we could be seeing this phone sometime next week. All of the August 12th launch date rumors be damned, August 11th is still technically just one day before that window: could we be seeing a 24-hour pre-sale window through the carrier? No date has been confirmed so the actual launch date is still in limbo, but failing that, just remember that we usually see Verizon phones released a week after they go up for pre-order. If the date doesn’t turn out to be August 12th, we’ll all have to point and laugh at ourselves and get a refresher on the true meaning of the word “rumor”. In any case, we can finally say the phone officially exists and is ready to go on sale. Confirmed specs and features: Android 2.2 with Flash player 10.1, 3G Mobile Hotspot, a 3.7-inch display, 8GB of on-board storage accompanied by an 8GB microSD card, Blockbuster and NFL apps, and more processing speed (if we’re going by what we officially know). We should also be seeing the R2D2 special edition of the device sometime next month complete with Star Wars content to sink your teeth in. Read on for the full press details. [Update]: Perhaps I should read through the entire press release before allowing my excitement to get the best of me! As one of our commenters pointed out, the device will indeed be in stores August 12th, available to all for $199.99 after a $100 mail-in rebate and a new two-year agreement. I guess Verizon didn’t need much of a head-start on this one as the internet gave them plenty. BASKING RIDGE, NJ, and LIBERTYVILLE, IL — Verizon Wireless, the company with the nation’s largest and most reliable wireless 3G network, and Motorola, Inc. (NYSE: MOT), a pioneer in the mobile industry, today announced that DROID™ 2 by Motorola will be available for pre-sale on August 11. Hitting all the right keys, DROID 2 is a feature-packed device that helps manage work and social life with an enhanced QWERTY keyboard, ultra high-speed Web browsing, 3G Mobile HotSpot capabilities, full push corporate e-mail, intuitive social messaging and Adobe® Flash® Player 10.1 for access to the full web – all built on Android 2.2. DROID 2 packs power and speed. Customers can enjoy the freedom of wireless with the 3G Mobile HotSpot and the ability to connect up to five compatible Wi-Fi® devices, and watch content on the full multi-touch 3.7-inch brilliant display, or share content captured on the 5-megapixel camera with enhanced functionality and DVD-quality video capture with DLNA connectivity to share on compatible devices. Customers can also download favorite apps from Android Market™, which has more than 70,000 applications, and store them on 8 GB of preloaded on-board memory and the 8 GB microSD™ card, which can be upgraded to a 32 GB SD card for a total cargo capacity of 40 GB. Popular apps available on DROID 2 include NFL Mobile (downloadable), Skype mobile(™) and BLOCKBUSTER On Demand® presented by V CAST Video. Customers can even manage their wireless accounts or their contacts from their phones with My Verizon and with Backup Assistant(SM). In honor of the iconic Astromech Droid from the Star Wars™ Saga, Verizon Wireless will offer a limited-edition R2-D2 version of the DROID 2, available only online in September. The special version of the phone will feature exclusive Star Wars content and external hardware designed to look like the trusty Droid from the film saga. Visitors to the upcoming Star Wars Celebration V in Orlando, Fla., can see a preview of the limited edition phone and sign up to receive alerts when the phone is ready for sale. Customers can add the optional 3G Mobile HotSpot service to their DROID 2 smartphones for $20 per month. The 3G Mobile HotSpot allows customers to turn their phones into a wireless modem for up to five compatible Wi-Fi® devices. In addition, current Verizon Wireless customers who have contracts ending by December 31, 2010, can upgrade to any smartphone, including DROID 2, without penalty. For more information on DROID 2 by Motorola, go to www.droiddoes.com. For information about Verizon Wireless products and services, visit a Verizon Wireless Communications Store, call 1-800-2 JOIN IN or go to www.verizonwireless.com. Just what I've always wanted; a USB stapler! I wonder if they come in red? Thanko Sells USB Stapler: "
The world’s most famous USB crap gadget maker strikes again. Tokyo-based Thanko is now offering a USB stapler [JP], which is actually just an electric stapler (it requires three AAA batteries to work) that doubles as a USB hub with four ports. That’s two problems solved with just one device. For some reason, Thanko points out the thing can staple up to five sheets of paper at once, but I think that’s more of a weak point. If you’re really interested in getting the USB stapler hub but don’t live in Japan, order it over at Geek Stuff 4 U ($32.45).